American pianist and conductor, Leon Fleisher, started studying the piano at age 4. He made his public debut at age 8 and played with the New York Philharmonic Orchestra under Pierre Monteux at 16. He studied with Artur Schnabel. Leon Fleisher made a memorable series of recordings with George Szell and the Cleveland Orchestra before losing the use of his right hand due to focal dystonia. He continued performing the left-handed repertoire until he quite recently regained the use of his right hand through the injection of botox. He also undertook conducting during this time, serving at one time as Music Director of the Annapolis Symphony Orchestra in Maryland. He is particularly well-known for his interpretations of the piano concerti of Johannes Brahms and L.v. Beethoven. 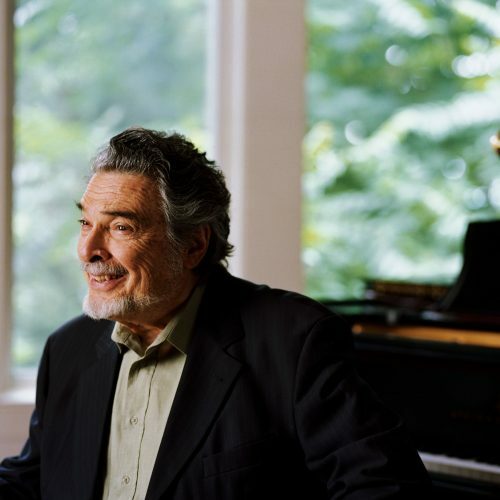 In 2004, Vanguard Classics released Leon Fleisher's first "two-handed" recording in over 40 years, entitled "Two Hands," to critical acclaim. "Two Hands" is also the title of a short documentary on Fleisher by Nathaniel Kahn which was nominated for an Academy Award for best short subject on January 23, 2007. Leon Fleisher's musical interests extend beyond the central German Romantic repertory. The American composer William Bolcom composed his Concerto for Two Pianos, Left Hand for Fleisher and his close friend Gary Graffman, who has also suffered from debilitating problems with his right hand. It received its first performance in Baltimore in April 1996. The concerto is constructed in such a way that it can be performed in one of three ways, with either piano part alone with reduced orchestra, or with both piano parts and the two reduced orchestras combined into a full orchestra. Leon Fleisher has continued to be involved in music, both conducting and teaching at the Peabody Conservatory of Music, the Curtis Institute of Music, and the Royal Conservatory of Music in Toronto. As a teacher, he has carried on a tradition that descends directly from L.v. Beethoven himself, handed down generationally through Carl Czerny, Theodor Leschititsky, Artur Schnabel, Fleisher himself, and then to hundreds of Fleisher's own piano students over nearly half a century. His influence on classical pianists of the current day, especially in North America, is enormous. Today his students are among piano faculty members at major music schools.